Chicago-based provider of pop-up restaurants Fooda will be occupying a 2,400-square-foot space in Mercantile Center on Front Street in Worcester, property owners and developers Washington Capital Management and Franklin Realty Advisors announced Wednesday. Dubbed “The Vault,” the new Fooda location will open in the space formerly occupied by a bank by the Mercantile Center lobby at 100 Front St. The restaurant will feature lunch-time meals on weekdays from 11:30 a.m. to 1:30 p.m. directly from various local restaurants like Basil and Spice, Meze Greek Tapas, Figs and Pigs, Chik-Fil-A and Chinese Mirch. The restaurant is expected to open March 6. In a statement included in the announcement, Franklin Realty Advisors Manager Chip Norton said the company is delighted to introduce a new concept to the building’s tenants. 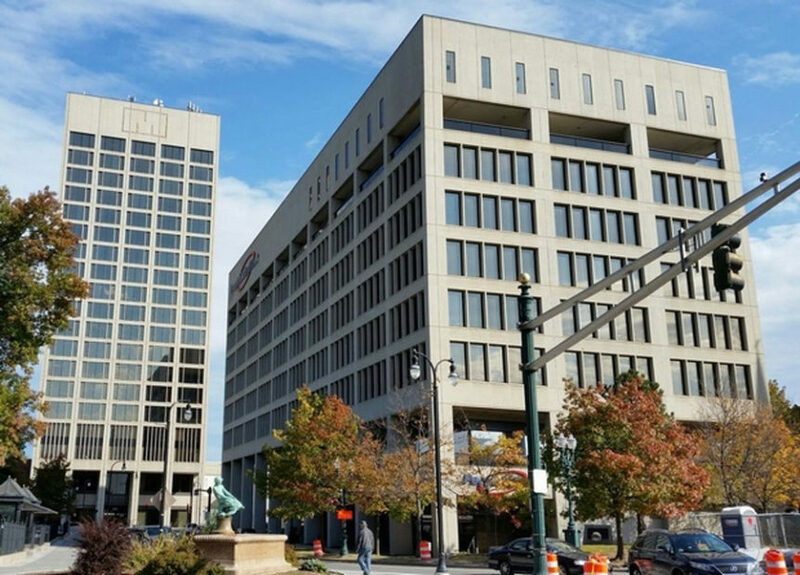 “Fooda will bring a very welcome variety and easy access to an ever-changing array of local restaurant favorites, a terrific new amenity for downtown Worcester office workers and residents alike,” Norton said.